As you veer off the Pathankot-Jammu highway towards the town of Gurdaspur, you cannot anticipate the tranquility that lies ahead. Wide and open farmlands, brick kilns and mud houses with thatched roofs compose the picture of an idyllic village life. 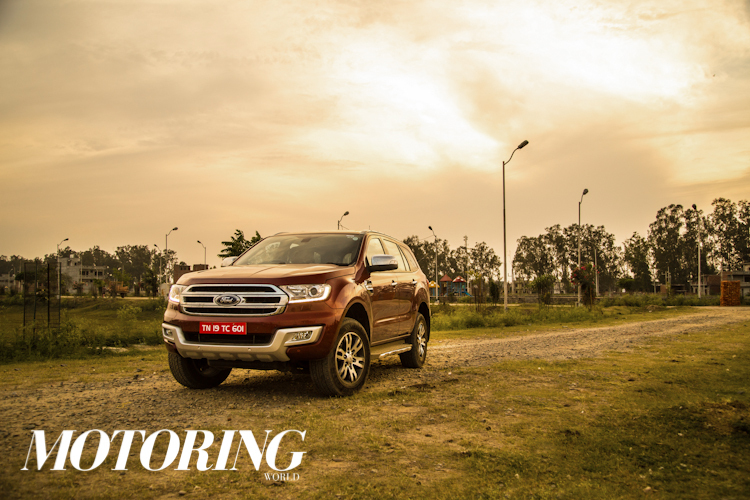 We are driving the new Ford Endeavour to Punjabiyat, a charming little farm stay that gives you a chance to get away from the hustle bustle of cities and shed the ever-expanding roots of being an urban junkie. There are many stereotypes about Punjab that have emerged over the years – mercifully most get quelled once you reach Punjabiyat – but the most endearing one is that of the quintessential Punjabi village. The air is fresh, traffic is that annoying acquaintance that you left behind and people are hospitable and friendly. In a nutshell, this is what Punjabiyat is all about. Nestled amidst golden fields of wheat there are four cottages designed to look like mud huts where all you hear are birds chirping during the day and crickets clamoring about during the evening. Solitude and serenity are your companions here and it is very easy to get used to their fabulous company. Punjabiyat is 10 km off the town of Gurdaspur and our drive from New Delhi in the Endeavour was certainly a one to remember. We had a 2.2-litre motor under the hood, punching out 158 bhp of power and 39 kgm of torque. Despite the early morning departure, we did get traffic out of Delhi and the automatic transmission in the Endeavour made life a lot easy. Once on the highway, the motor was happier and we cruised effortlessly: 415 km in eight hours and not one bone in the body was complaining. That should give you an idea of how comfortable the Endeavour is. With lots of space inside, a well-functioning infotainment system and a large boot, the Endeavour seems to be made for life on highways. NH1 is unlike any other highway you might come across in India, not just because of the dhabas you will find lining it. The highway throws up a steady stream of flyovers and the Endeavour wafts over them like a breeze. There are a multitude of towns and villages you come across, yet you don’t really cross them as they go about doing their business underneath the flyovers. Quite comparable to how the Endeavour makes driving easier without letting its size being a hindrance in traffic. We reached Punjabiyat on a lazy afternoon and our lunch table was set under a thick canopy of trees, very aptly named ‘Lunch by the Meadow’. Despite our heavy breakfast at Sukhdev dhaba, the must-stop on any trip to Punjab, we were hungry and the head chef at Punjabiyat was thrilled to hear this. On the menu was authentic Punjab fare – creamy rajma, chicken tikkas, rice and farm-fresh salad. After the lovely lunch, a nap seemed to be the order of the day. So we were shown to our lovely cottage – rustic interiors, a charming four-poster bed and artistic knick-knacks. But we wanted to explore Punjabiyat and see how life functions when it seems to have stopped in time. Being on a farm shows you the two different ends of a spectrum. While there is purity, serenity and calmness, there is a lot of hard work and it certainly isn’t an easy life for those who live there. To get a taste of this life, you can cycle around to nearby villages and get to see how people go about their day-to-day lives in a typical Punjabi village. The locals are friendly and are more than delighted to share a story or two. The good folks at Punjabiyat are also ready to give you a spin in a tractor to see the wheat fields, while they tell you about farming here – the process of tilling, when the harvest is done, what kind of crops grow and so on. Around Punjabiyat you can find sugarcane fields, wheat, mustard and plenty of vegetables gardens. Punjabiyat is an hour’s drive away from Amritsar and we decided to pay our respects at the Golden Temple. In the narrow lanes of Amritsar, the Endeavour was surprisingly easy to manoeuvre, though the parking sensors weren’t happy with their proximity to nearly everything around them. I guess it was all the attention which the Endeavour drew, with people staring at it before giving way. The steering is pleasantly light for a car of this size and the cabin is quiet enough to shut out the beeping horns and noise outside. The ride quality of the Endeavour is top notch, too, and we were once again impressed by the comfort inside the cabin. Before you head back to your urban madness, a trip to the mighty Beas, which flows about eight kilometres away from Punjabiyat, is a must. We decided to take the Endeavour to the banks of Beas and it was like suddenly being transported into a magical land. Surrounded by sugarcane fields, we decided to go off-roading right till the riverbed. Despite being a 4×2, the Endeavour was unruffled by the terrain. Even while kicking dust, the ride quality of the Endeavour is top notch. The nice people at Punjabiyat had organized a picnic basket for us, which came in handy when we sat under the shady mango trees and saw the river flow by. The madness and chaos of Delhi – or for that matter Amritsar – seemed a million miles away. The seclusion of Punjabiyat, coupled with easy access to all the major towns of North India makes it an ideal getaway. There’s nothing touristy around here – chug a glass of delicious lassi or sip on a lemon ginger tea while you read a book. The cottages look rusty but are equipped with all modern amenities. There’s no television and no Internet connectivity, so be prepared to renounce the outside world for a while. You would want to chase butterflies here as you soak in the golden glow of wheat fields that are everywhere you look. The indulgence in Punjabiyat is to laze around, read a book and breathe in the fresh and crisp air. Sleep on the charpoys or head to a quaint library next to an outdoor pool, which in true Punjabi style gets water from a submersible pump. Just like in Punjabi households, a big part of the Punjabiyat experience is the food. They source all the ingredients from their own farm for most of the food they serve. They will ask you what you wish to eat – you could have pancakes for breakfast and spaghetti aglio olio for lunch and some grilled fish for dinner. But we stuck to the rich Punjabi food served with dollops of butter and ghee. As they say, when in Punjab, eat like the Punjabis do! Punjabiyat is in a way like going back in time – rustic elegance, perfect hospitality and a laidback pace of life – and it beckons you to come back again. The Endeavour is an ideal ally to take on the journey to Punjab. It stands for – and pardon the stereotype – machismo, butch looks and sturdiness, things for which Punjab is generally, ahem, known for. Quite the match, then!